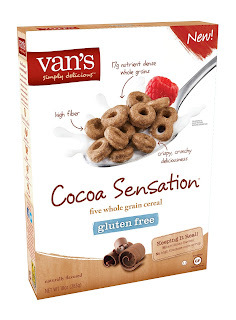 Food allergies and sensitivities stink! When I was young, I was the kid who was allergic to everything. Eggs, milk, wheat... yes, I was gluten free before gluten free was cool. Seriously though, I was lucky enough to outgrow most of my food allergies, but unfortunately I passed them along to my daughter. Due to her horrible eczema, my daughter has been gluten free since she was a year old. But there's good news. Unlike when I was a child and options were very limited, these days there are tons of gluten free products readily available...and delicious too! 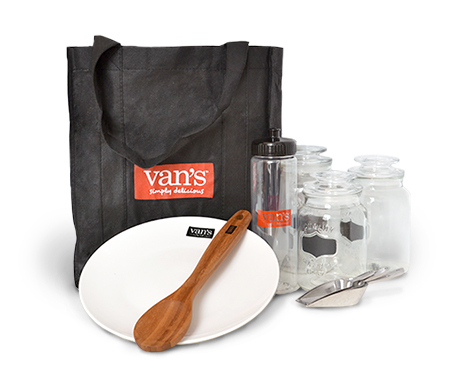 Among them, Van's Foods! 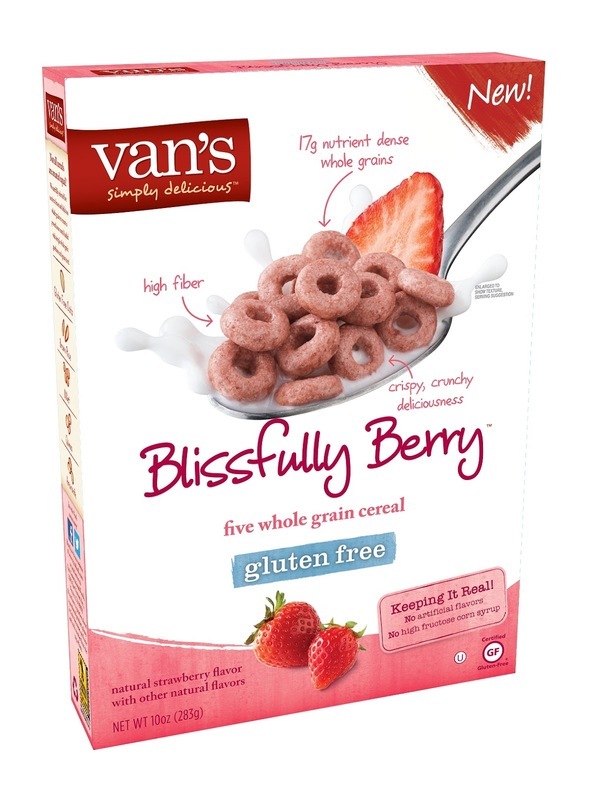 Van’s Foods, maker of whole-grain, gluten-free cereals and other certified gluten-free foods, adds two delicious new varieties to its award-winning cereal line: Blissfully Berry, with natural strawberry flavor, and Cocoa Sensation, made with real cocoa. I'm a huge fan of Van's gluten free crackers, will have to take a look at the cereals! Love Vans!! What a great prize pack!! Thank you! !